November 2nd in WordPress Themes by Wordpress Jedi . Starting a price comparison site is one of the easiest ways to start your journey in the world of affiliate marketing. There are plenty of places you can find products to compare and sell on your site. But having the right template is important too. Compare for WordPress is a pretty decent looking theme that can handle price comparison sites well. Compare has a widgetized homepage and is fairly easy to customize. 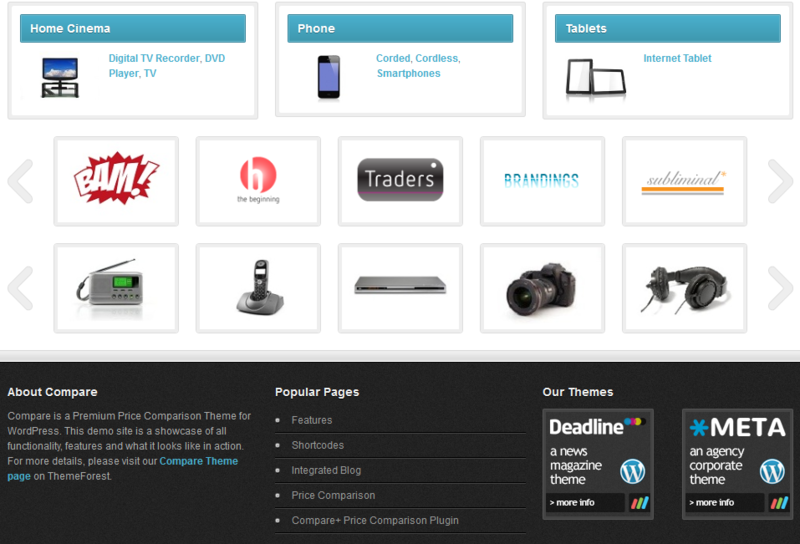 The theme is compatible with Compare Plus Price Comparison plugin. You can change background color, image, and pattern easily. Adding new products couldn’t be any easier. Users may import products using a CSV file. 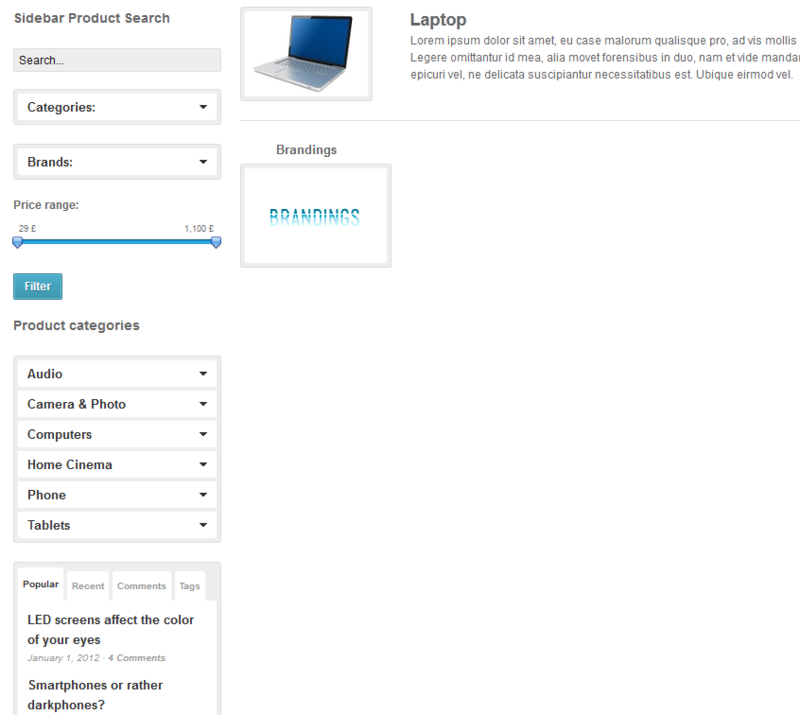 Top products and categories are displayed on your homepage. 18 custom widgets are included as well. Compare has a ton of options in the back-end as well. It has highly configurable content blocks. You can change your logo, add your favicon, and include Google Analytics on the theme options page. The Compare theme also supports a side-blog. It has multiple custom page templates and is social media friendly. 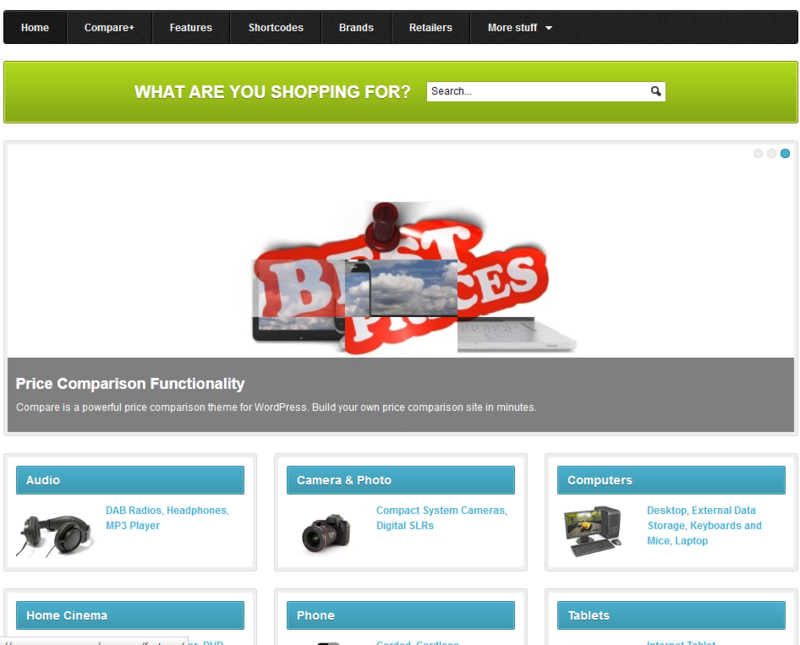 The Compare theme is decent looking and works well for price comparison sites. It does take a bit of time to set up but has potential.